Balloon shapes are a great conversation piece at parties! 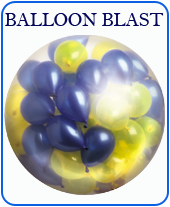 Foil Balloons are a fun addition to your party decorations, especially if you are planning a themed party. Foil balloons in your child's favorite character, like Cinderella, or animal-shaped balloons for a Jungle party really add to the atmosphere. Kids love foil balloons and foil balloons appeal to adults as well! Please note: Foil balloons do not expand like latex balloons and hence they burst if you overfill it. Foil balloon comes FLAT and UNINFLATED. Foil balloons must never be released outside as they do not bio-degrade and also they may conduct electricity. Do not expose foil balloons to extreme heat or they can burst. Size : 29" . Inflated size : 24" x 21"